Whaleboats were a means of transport in early New Zealand and were also raced in regatta’s around the country. Whaleboat teams travelled long distances to race in these events; one can only imagine the difficulty in getting the crew to events, let alone the large boats. One such regatta was the Auckland Regatta held on Anniversary day (as it is today) where Thames would enter in the sailing and rowing races. 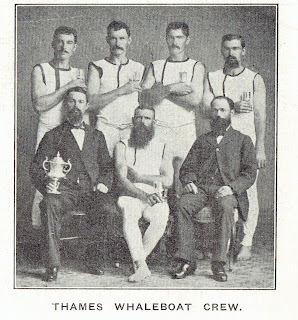 One report states “It was not until more recent years about 1884 that Thames Crews entered for the “Whale boat events” (2) but Papers Past (1) have details of Thames entering races as early as 1877. 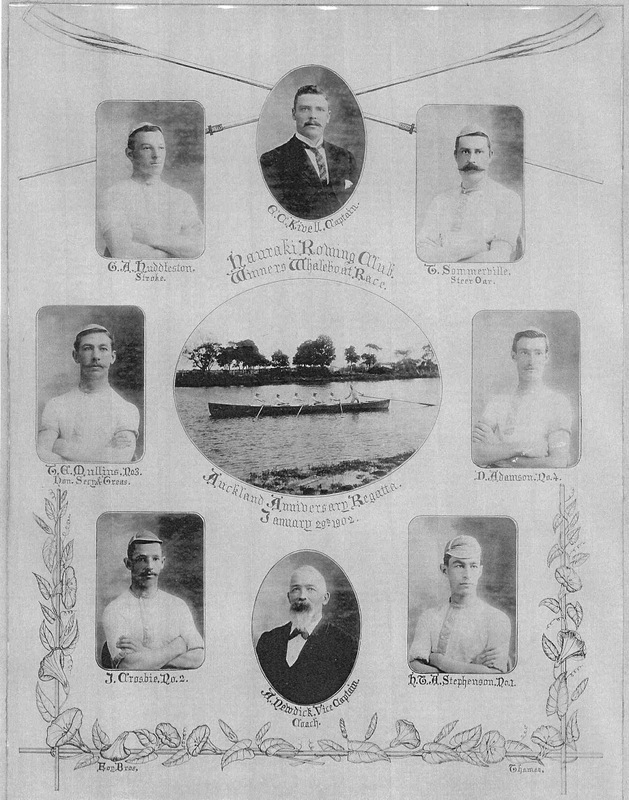 The 1884 date appears to relate to the first official entry by The Hauraki Rowing Club from Thames, that formed in 1884. In Thames Street Directories, four men are listed as boat builders, their names and years are as follows. (5) Robert FIELDER, Boat builder, Beach Road, Thames (1878, 1880, 1883 & 1885), Horace NORGROVE, Boat builder, Grey Street, Thames (1909), Samuel SMARDON, Boat builder, Thames (1890) and Valentine SAVAGE, Boat builder, Thames (1883, 1885, 1887). 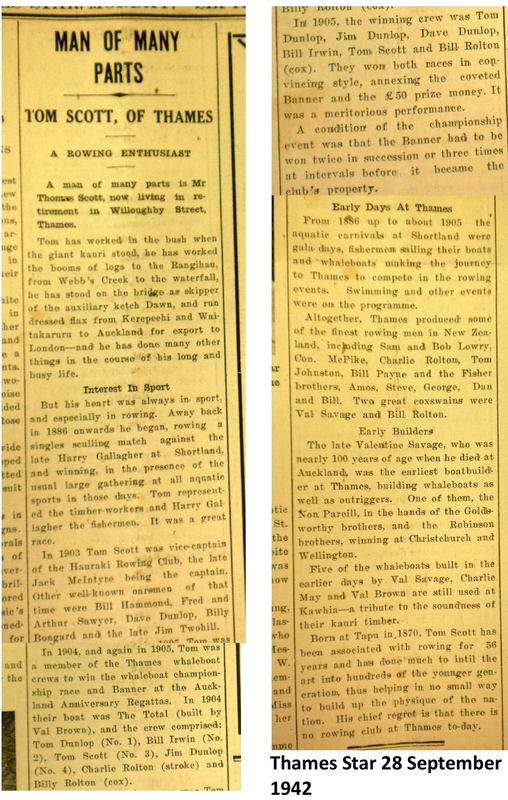 Papers Past has references to two rowing clubs from Thames; The Thames Rowing Club and the Hauraki Rowing Club. The Club that formed 1884 (2) is not named, but should be the Hauraki Club, given they raced in a boat called HAURAKI and the base was at Shortland Wharf. 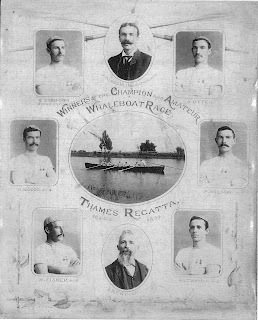 A further report in 1887 has crews from Hauraki and Thames competing at the Auckland Regatta. (1) There is further contradiction when the Observer Newspaper 1888 announces the formation of the HAURAKI ROWING CLUB, earlier in the article it announces that “Thames Rowing Club intends joining the Auckland Rowing Association. (1) Could some of the confusion be based on amateur and professional status, or the affiliation to the larger Association. Until clarification can be sourced it would appear that the earlier racing events were entered under different criteria and formal registration of the Thames and/or Hauraki Rowing Clubs occurred in 1884/1888. The following paragraph is on the Rowing club (assumed to be HAURAKI ROWING CLUB) from Mr Hammond’s notes. (2) The Club stored it’s boats in PARKERS Stables (between Mitchell St and Shortland Wharf), later they built a rowing shed at the western end of Shortland Wharf (with it’s own slip). The Rowing club would hold races on Saturday afternoons (when the tide permitted) and these included whaleboat, four oared gigs and swimming races. Sometime in the 1890’s the club bought a 4 oared gig; the coach was Mr HOSKING, crew: W HAMMOND, Vivian MORGAN, Tom MULLINS and Jack CRAWFORD. They raced unsuccessfully at the Ngaruawahia Regatta and an Auckland race. Mr Hammond describes one race day about 1894 when two four oared gigs were racing, got swamped by waves and required rescuing. The crew members that day included: WGANLEY, T FINLAYSON, W HAMMOND, J MCLEAN, G DALTON (cox) & G RYAN, R RUNCIMAN, F MULLINS, Tom SOMMERVILLE and Geo GORDON (cox). The same day there was a whaleboat race between the Hauraki and the Total boats. “The Hauraki was steered by E Gibbon, among the crew was Alf BILLING, Harvey CURTIS, Chas LLOYD & Bob INGLIS.” (2) The Total was steered by Tom ROLTON. The race remembered as the day the Total crashed into the Hauraki, causing considerable damage, which was thankfully able to be repaired. The Hauraki Rowing Club is mentioned in Street Directories (5) 1899-1903 (T E MULLINS, Sec) and 1906 (A E HOSKING (Sec). It would appear that interest in the club decreased over later years, in 1901 an article (see Newspapers below) suggested the club was under going a revival. Following this it appears the club tried to get it’s “best” event reinstated at the Auckland Regatta, but this was declined. 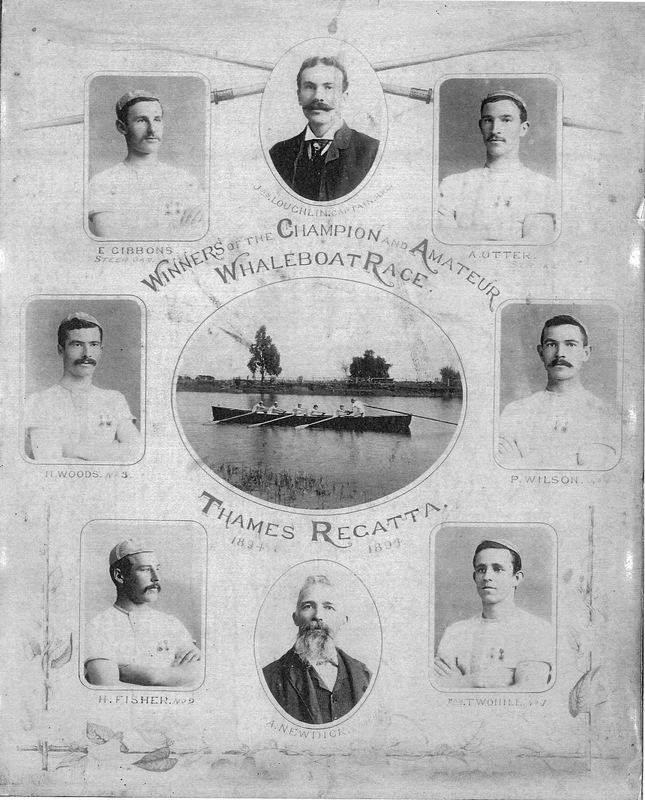 Despite this in 1902 a Whaleboat race was held in the Regatta and Hauraki (Thames) did win! In 1904 and 1905 the Thames teams won the championship race and Banner at the Auckland Anniversary Regattas. " In 1904 their boat was The Total (built by Val Brown)." 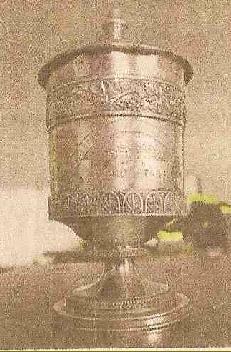 Details in The Thaames Star 28 September 1948 (Copy at end of page). 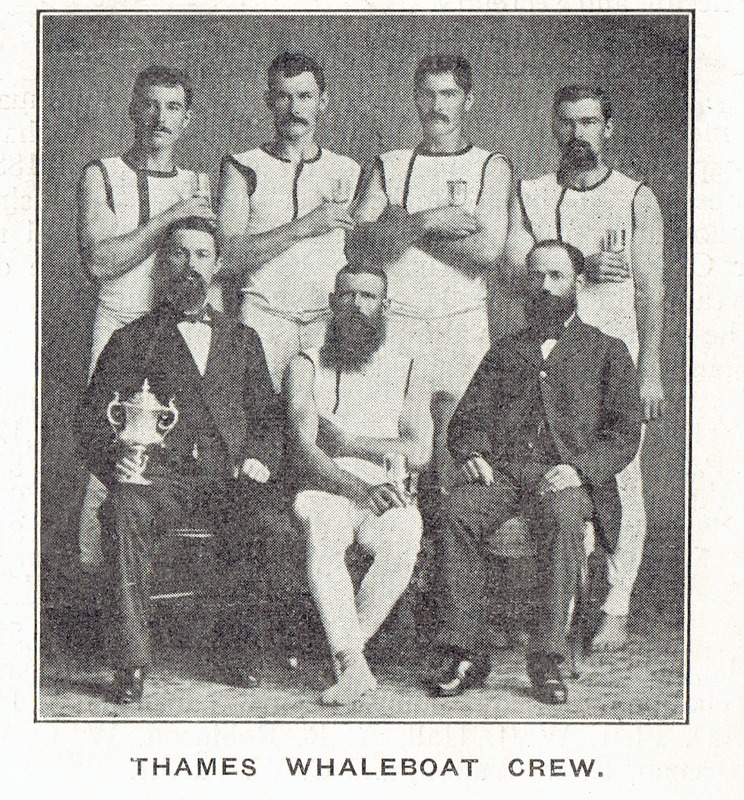 Crew members were: Dunlop T & J, Irwin, scott, and Rolton C & B.
Whaleboat racing and Thames Rowing clubs’ just another golden era in the history of the Thames. 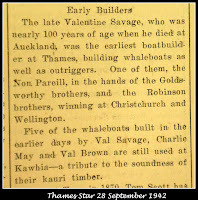 · 1886 January: Thames entries in the Auckland Regatta covered several events, including the the Champion Whaleboat race, the Junior Whaleboat Race and the Naval Brigades’ Cutter Race (1) (See Newspaper reports below) Hauraki were 2nd in the Champion event. · Two Thames Whaleboats went to Kawhia in the late 1900’s. (2) There is a whaleboat at the Kawhia museum and two in a rowing shed, whether they are the original Thames boats can’t be confirmed. (6) **The Heritage Rescue programme on TV 18 September 2016 confirmed the boats were at Kawhia thanks to Mr Gibbons, but said they came from AUCKLAND!!! 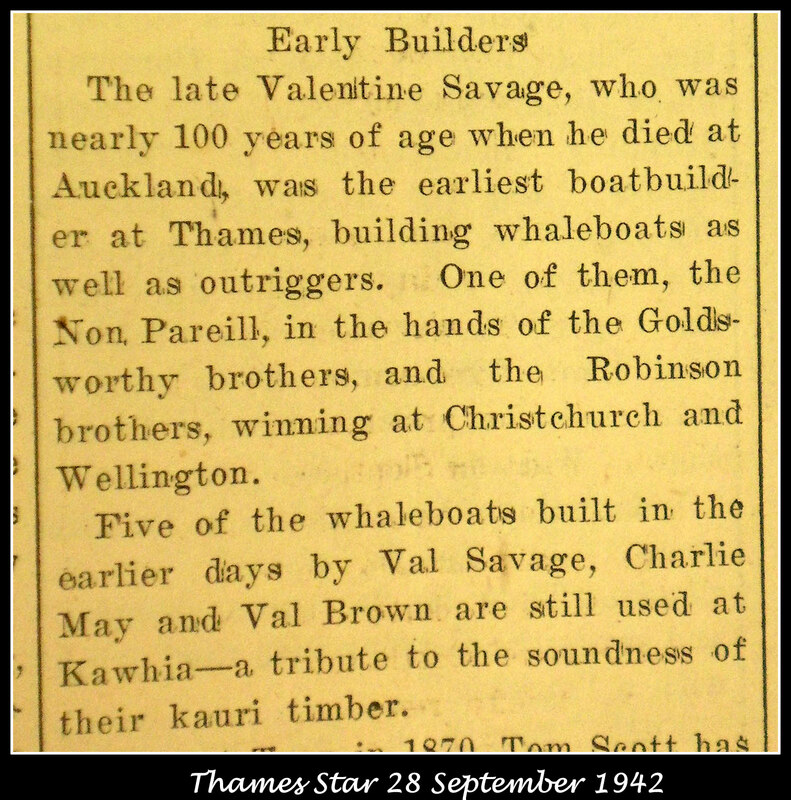 ** Article below Thames Star 28 September 1942 states five boats went to Kawhia. Hauraki 2nd in Champion Whaleboat race, Hauraki did not start in the Junior Whaleboat and the Naval Brigade finished 3rd. “THE CHAMPION WHALEBOAT RACE. Extraordinary Fracas. (By Telegraph) AUCKLAND, THIS DAY. “THE WAITEMATAS DISQUALIFIED. AUCKLAND, THIS DAY. “LATEST FROM THAMES. ROWING MATCH – THAMES V AUCKLAND. THAMES, last night. NB. Concerning the above article and reference to Mr W J CONSTANT.